Can Sleeping Pills Cure Your Sleep Deprivation? We all just want to head home and get some well-deserved snooze after a long day at work or at school. Unfortunately, it is easier said than done. Nowadays, a big chunk of the population suffer from sleeping issues – whether it is insomnia, sleep apnea, or an over-reliance on drugs to help put you to sleep. There are medicines that work primarily to help people fall asleep faster. They are often prescribed to be taken for a short-term only. They don’t work the same for everybody. However, most people end up abusing sleeping pills and taking it every single day so they no longer waste precious time counting sheep while tossing and turning at night. Or, it can also work the other way around for people who want to fight off sleepiness because of obligations and such. But is it safe to rely on medicines to help you sleep or are you actually doing more harm to your body than good? 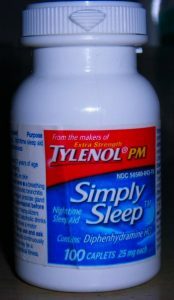 The pharmaceuticalization of sleep, put simply, refers to the ways in which sleep becomes a site for manipulation or augmentation through pharmaceutical use. There are different ways in which sleep can be pharmaceuticalized – for example we can use pharmaceuticals to induce sleep, to consolidate broken sleep, or to prevent or delay sleep. Pharmaceuticalization can occur across different levels, such as in the way people think about and understand sleep as being something we can alter by using pharmaceuticals, through the prescription of pharmaceutical treatments for sleep problems by a doctor or the purchase of over the counter medicines to encourage or delay sleep within our domestic environments and daily routines. While many thinks of sleeping pills negatively, they do serve their purpose. There are people who truly struggle to get enough sleep at night and they can benefit a lot from these medicines. However, we must not forget that the benefits of sleep medications are real and tangible for those who rely on them to manage their sleep problems. The chemical manipulation of sleep and wakefulness has a long history – recipes for sleep- inducing home remedies can be found in cookbooks dating back to the 16th Century and 18th Century medical textbooks list medicines that can be used for their sedating effects. Although pharmaceuticalization/depharmaceuticalization of sleep can be considered as being somewhat in flux, I’d be surprised if the pharmaceuticalization of sleep and wakefulness did not continue in one form or another both inside and outside of the medical encounter. Imagine not being able to sleep the night before. You’d probably end up skipping work or school or decide to go after all but act grumpy, exhausted and dazed the whole day. And it is costing money for both the employee and the employer. Sleep disorders are a primary cause of absenteeism and underperformance in the workforce, according to a recent study by Ronald Kessler, Professor at Harvard Medical School. In particular,Australia has one of the highest rates of absenteeism in the world, with rates rising by 7% in the last six years. In fact, absenteeism caused by sleep disorders is costing the Australian economy $33 billion per year and can cost the average Australian business over $3000 annually. Research also suggests the annual cost per employee for insomnia is $4,770 and for the ever-growing number of insufficient sleep suffers, its $3,510 per annum. Hence, sleep deprivation affects businesses in more ways than just having a disgruntled and inefficient employee. An employee who seems grouchy or unproductive may be suffering from insufficient sleep. Lack of sleep has negative consequences for the workplace, including decreased productivity and increased absenteeism, according to human resource and medical professionals. Sleep deprivation is “frequently the root cause of decreased productivity in the workplace,” Rosemary Haefner, chief human resources officer at CareerBuilder, a job-search website, told Bloomberg BNA in a March 23 email. A recent survey by CareerBuilder found that many employees are just not getting enough sleep. The survey was conducted to find out whether workers think they’re getting enough sleep and what the consequences could be if they aren’t, Haefner said. An occasional night without sleep makes you feel tired and irritable. After several sleepless nights, “your brain will fog, making it difficult to concentrate and make decisions,” Haefner said. “You’ll start to feel down and may fall asleep during the day. Your risk of injury and accidents at home, work and on the road also increase,” she said. Now, going back to the issue of taking sleeping pills, will you compromise your health and your work by suffering in silence because of sleep disorders you may be battling personally or will you seek help and take medicines that can help you sleep better and function like a normal waking person the next day? Talk to your doctor so you understand the risks involved for both sleep-deprived patients and patients who rely on sleeping pills to sleep. Remember that there is a reason you have a hard time sleeping at night and it is often associated with a sleeping disorder. If that is the case, go get yourself checked and undergo sleeping tests in sleeping clinics to get to the bottom of it. You need not use a CPAP but an anti-snoring mouthpiece like this one may actually work: https://snoringmouthpiecereview.org/why-a-cpap-machine-is-probably-not-for-you. If not, this one is also an option: https://snoringmouthpiecereview.org/good-morning-snore-solution. There are different solutions and managements available whatever your sleeping problem may be, so you can finally say goodbye to sleepless nights for good. might cause some side effects. Good move, Felicia. Thanks for commenting!